An unusual transportable church was created at the request of a diocesan Missionary Department of the Kuzbass Archdiocese by a local company. October 8. 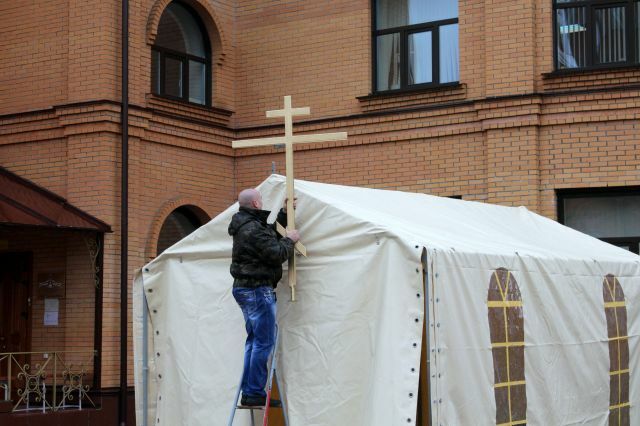 The church tent, which can hold up to 30 people, was installed on the premises of the Sign of the Holy Theotokos Cathedral. Divine services will be held at this transportable church not merely at this regional center, but also in those villages, where there are parishes, but no churches. The tent is made of materials resistant to sun, wind, and rain. It weighs several dozen kilograms and can be installed for 30-40 minutes. 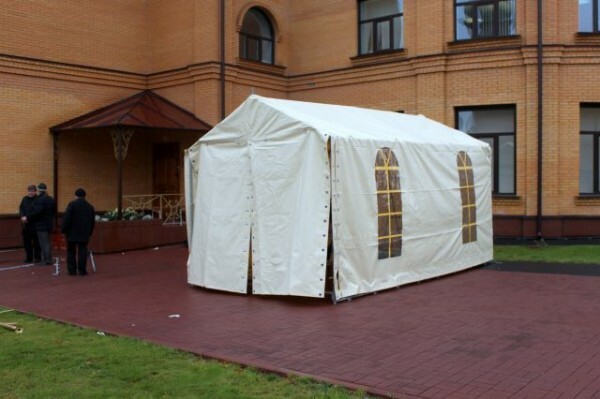 The press office of the Kuzbass Archdiocese announced that the production of the church tent was sponsored by a company called “Sibirskie Seti” (which is translated as “Siberian Network”), for which it was awarded the Archdiocesan Letter of Commendation by the Very Rev. Aristarkh (Smirnov), Metropolitan of Kemerovo and Prokopyevsk. According to Father Arkady Rakhov, Chairman of the Missionary Department of the Kemerovo Diocese, clergymen had hoped for such a transportable church for a long time. And now, clergymen will be able to celebrate divine services not merely at inhabited localities, but also at military units situated in this region.